The Brambling is about 16 cm. 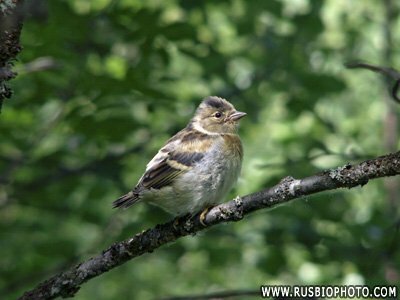 It has the same size and form as its fellow the Chaffinch. The male at summer has black head and back, orangelike breast, and two white bands on the wings. During the winter, the head and back are brownish, with a white spot on the neck. 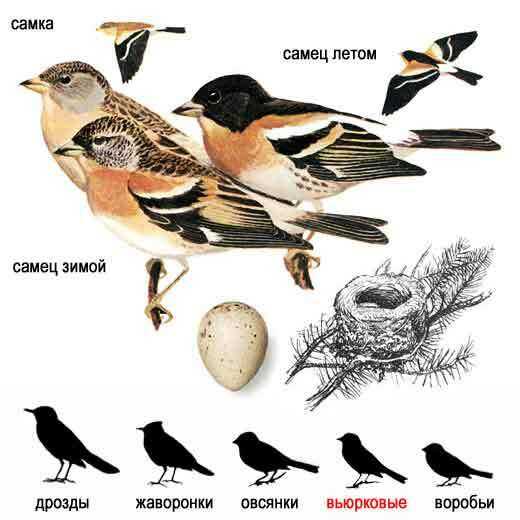 The female is like the male during the winter, and may be mixed up with the Chaffinch-female. However, it is white on its lower back, and has two dark lines on the tip. The juvenile is more like the female. 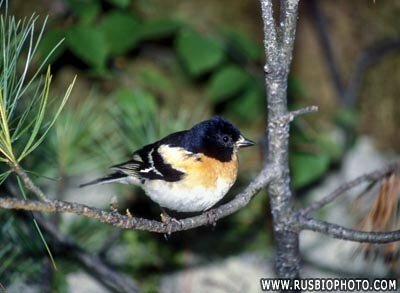 The Brambling in Norway, is often up in the birch woods in the lower mountainregions. even as it ought to have gone south at that time. You can also find in the lower parts in Southern Norway in the spring and autumn. 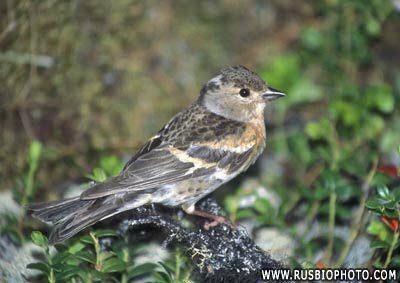 The Bramblin nests in the upper parts, but also go as far north as to Finnmark, the northernmost county in Norway. There it nests in trees.. The female make the nest of moss, straw and hair, and beds it with fine straw, cottonlike material and feathers. 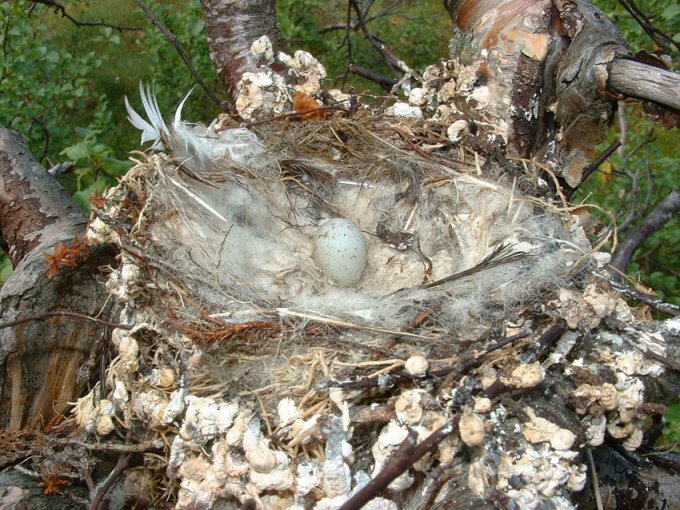 The 5-7 eggs are grey or brownish green, seldom also light blue, with brown and black spots. The Bramblin are happy when it can find insects, seed and berries.